(CNN) When the Grammys kick off Sunday night, there will be one notable absence. 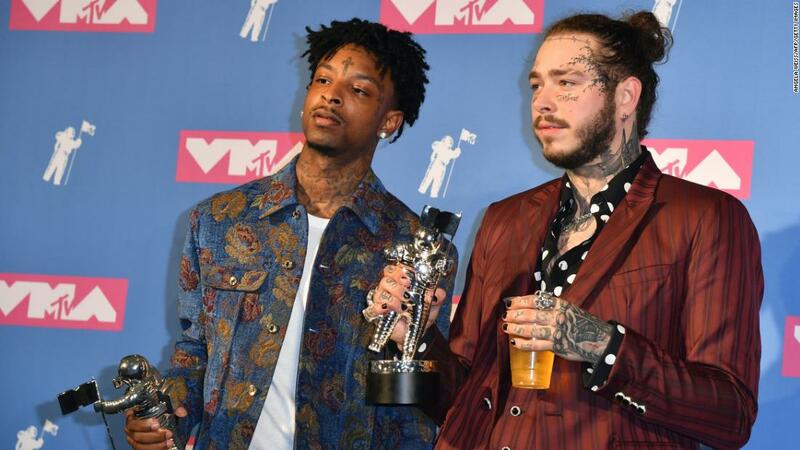 He was scheduled to perform, publicist Tammy Brook told CNN, and Rolling Stone magazine spoke to a source who said 21 would take the stage with Post Malone to perform their hit, “Rockstar.” The song earned two Grammy noms. Though he has been the subject of worldwide headlines since authorities announced before the Super Bowl that he’d been arrested and was being held pending deportation proceedings, he rose to fame after establishing himself as a talented rhymesmith in Atlanta’s robust hip-hop scene. He has long touted his Atlanta bona fides, so when Immigration and Customs Enforcement said 21 was British and had overstayed his visa, fans were caught off guard. It was in that moment — nonchalantly discussing with VladTV the tattoo of a knife that rests between his eyes — that 21 became celebrated as one of the most authentic rappers in the industry. The face tattoo was an homage to a friend who was murdered. It was as much a tribute to his fallen fellow gang member as it was a symbol of what he represented to hip-hop: a young rapper with a raw, rough but real story of growing up in Atlanta’s drug-dealing areas, known as traps. The internet was not kind after 21’s arrest, and a parade of Twitter memes ensued. One stated he wrote his rhymes with a feather quill, and another quipped that when he rapped about having shooters, he wasn’t talking about fellow gangbangers, but rather, British redcoats. 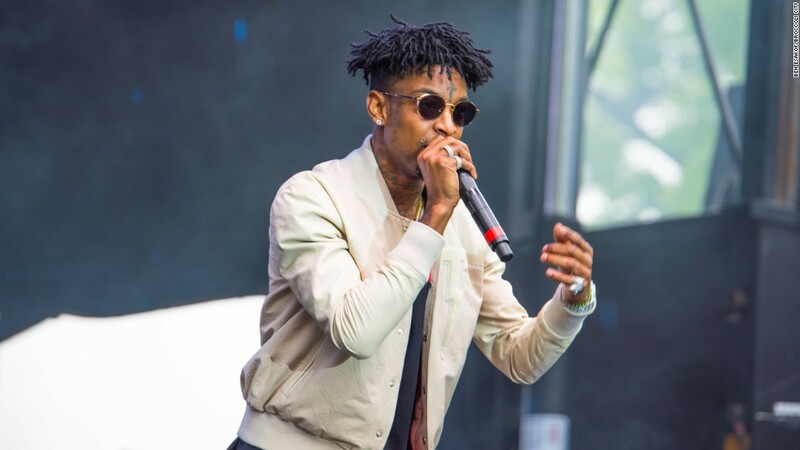 “Issa Joke” one opined about 21’s rap career. “+44 Savage,” another user poked fun, employing the United Kingdom’s international calling code. Those who know him, however, were furious at the suggestion and quick to defend him. “You talking about where a n***a born at? That s**t don’t matter, n***a. Wherever you bust your gun at, wherever you got the game at, that’s where you from, man,” Big Bank said in a video post. 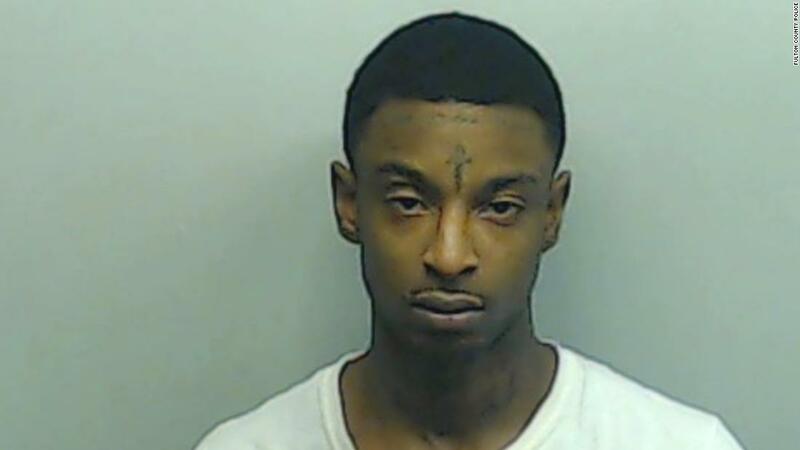 “Savage Zone 6 n***a for life,” he added, referring to the Atlanta Police Department’s designated Zone 6 — home to Gucci Mane, Childish Gambino and 21’s Epic Records labelmate, Future. Big Bank’s response to the internet’s insults was a microcosm of how hip-hop came to 21’s defense. To them, none of what the world was saying about 21 seemed to matter. Will he be able to stay in the country? 21’s birth certificate says he was born in East London to British parents. He was brought to the United States at age 7 and in 2005 left before returning a month later, according to his immigration lawyer, Charles Kuck. In 2006, 21’s parents failed to renew his visa. He’s been living in the United States illegally ever since, according to immigration officials. While his publicists say they have been working on his immigration status for at least two years, the majority of people found out about his international roots on Super Bowl Sunday. For many, the timing of his arrest seems suspicious. The visa application was filed in 2017, Kuck said. That’s four years after the rapper reportedly was shot six times during an incident in which his friend died. A U-visa is available to those who have been the victims of a crime in the United States, have suffered physical or mental injury as a result of a crime and who are “helpful to law enforcement or government officials in the investigation or prosecution of criminal activity,” according to ICE. 21 wasn’t the target of the operation that landed him in the custody of immigration officials, a law enforcement source with knowledge of the arrest said. It was another rapper, Young Nudy, who was the target of a criminal arrest, the source said, and 21 was seemingly caught in the middle. In the days since he was taken into custody, rallies have been held in his name, petitions calling for his release have been widely circulated and Jay-Z is among the hip-hop luminaries who have backed him. But will it be enough to keep him from being deported? More engagement as compared to ordinary posts and this add-on of Tabfu Pro is going to allow you to create catchy motion posts with such ease that you won't even notice that you are messing your hands with something that is fairly new to you. FINAL CALL: Profit $500 - $1,000+ Over and Over By Selling Our Pre-Made Niche Site Templates in over THREE Dozen of the HOTTEST Niches..